If you live in the area, you may have noticed that SFREC was on fire last Tuesday. 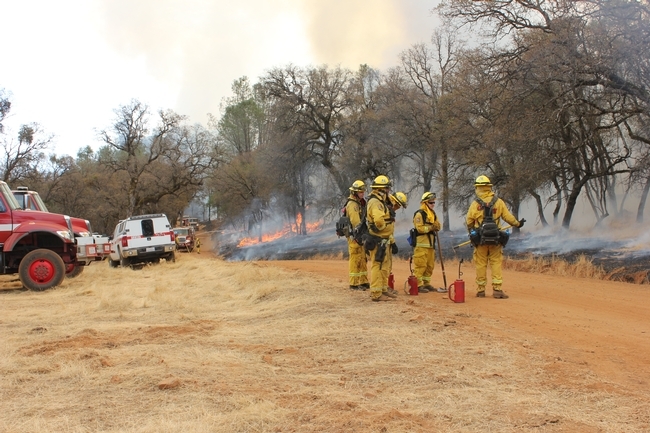 This controlled burn was planned in coordination with Cal Fire. Its purpose was twofold- to reduce ground fuel loads in the upper portions of SFREC and to act as a training burn for Cal Fire staff to hone their skills. 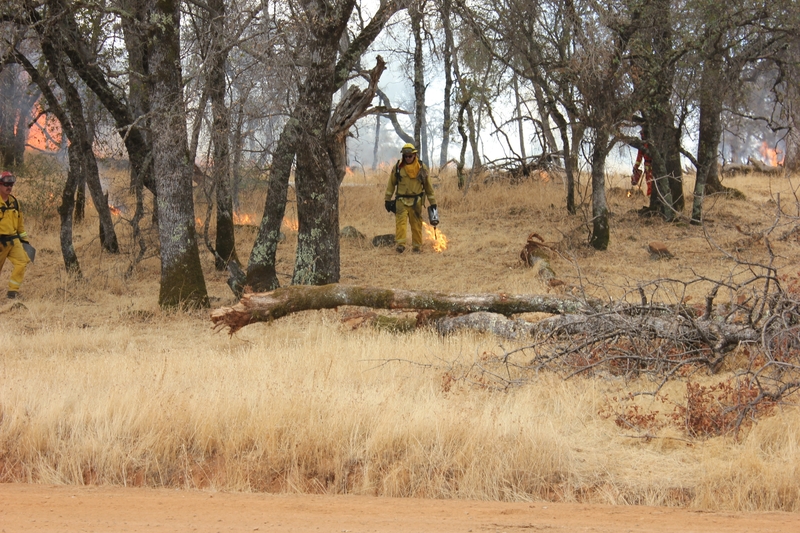 Enjoy some pictures from the fire! Fire crews go through the forest with a driptorch, igniting the dry grass on the forest floor. Once started by the driptorch the fire spreads through the understory, with the fire crews monitoring the flames to make sure they don’t get too high. 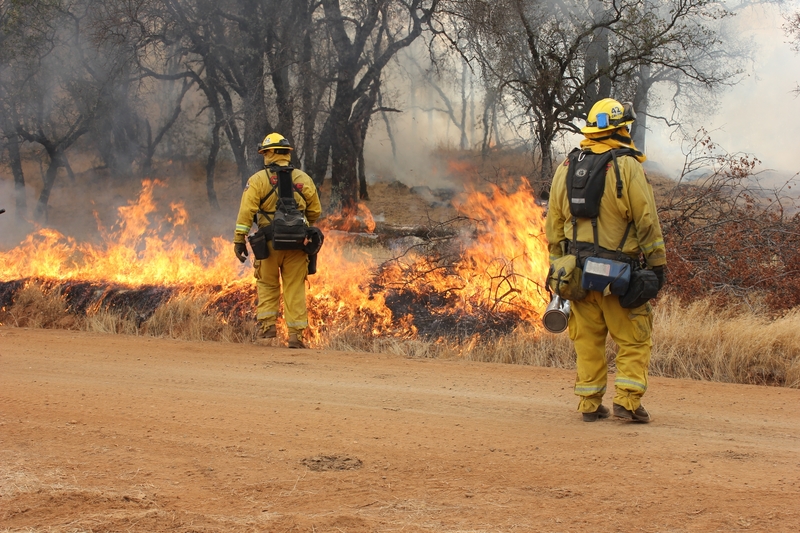 Roads work as a fire block, preventing the spread of fire to other areas of the pasture. 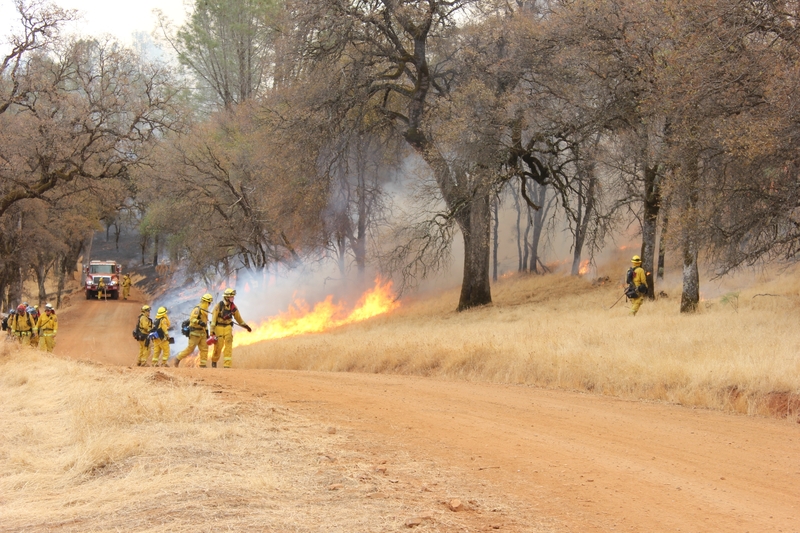 Fire truck follow behind the blaze, putting out the fire after the under brush has been cleared. 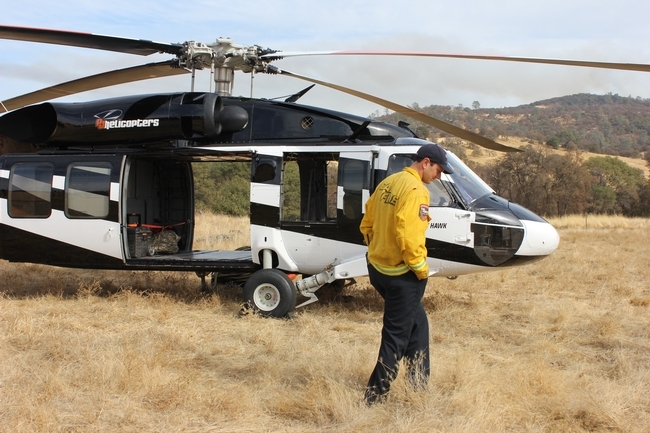 A helicopter equipped with a water bucket specially designed for use in fire fighting is ready on site in case the blaze gets out of control. 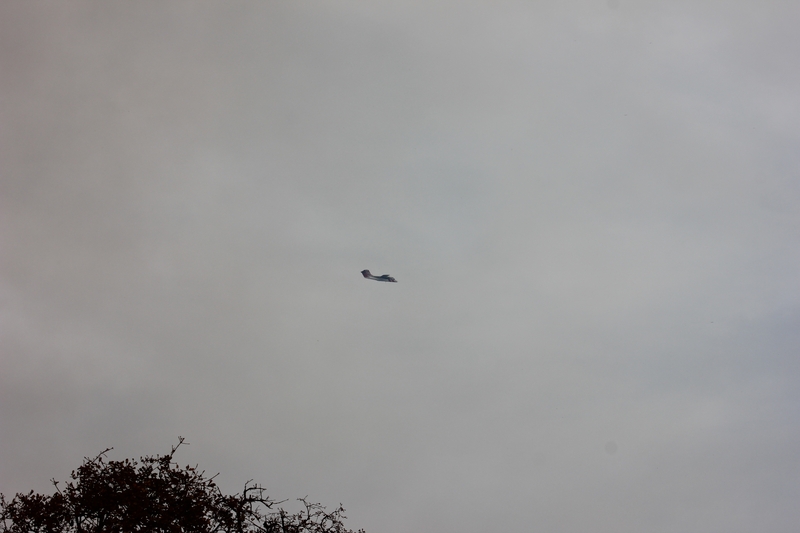 A spotter plane circles the fire making sure the smoke is rising to the proper altitude and not effecting air quality.